LONDON, AFP: Executions fell worldwide by nearly a third last year to their lowest levels in at least a decade, but several countries recorded a rise, Amnesty International said Wednesday. He added the “dramatic” drop globally proved that “even the most unlikely countries are starting to change their ways and realise the death penalty is not the answer”. Amnesty’s count excludes China -- the world’s top executioner -- where the numbers are classified as a state secret. 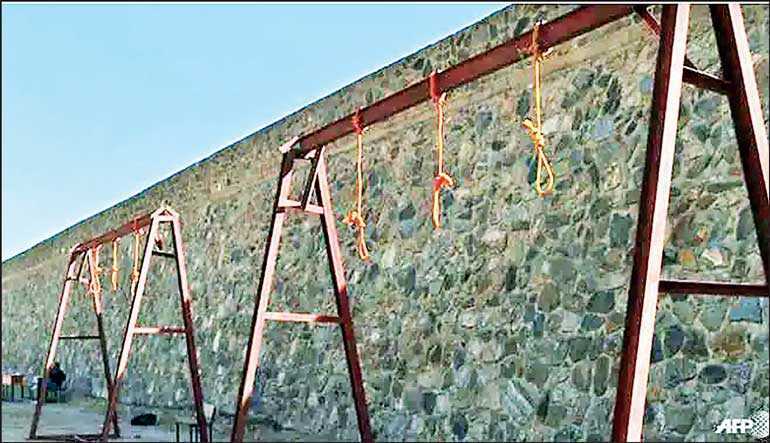 The organisation estimates thousands of people are sentenced to death and executed there every year. Iran (253), Saudi Arabia (149), Vietnam (at least 85) and Iraq (at least 52) were the other countries that resorted to the death penalty most in 2018. “Slowly but steadily, global consensus is building towards ending the use of the death penalty,” Naidoo said.